"I have a beautiful friend named Chelle. She is truly one of the kindest, most generous people you will ever meet. In just a few weeks her newest little one will arrive. A sweet baby girl named Lucy. And oh, we just can't wait to meet her! "This last weekend our little group of friends (Courtney, Chantel, Amy, Becca, and me) gave Chelle + baby Lucy a shower. 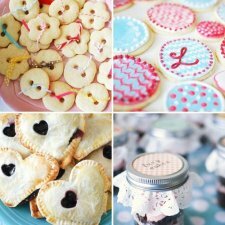 So much love went into that afternoon! We all had so much fun planning the whole thing for her! 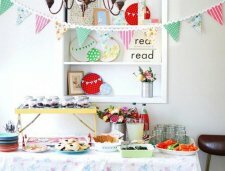 Our inspirations were the colors in the quilt Chelle is making for Lucy and this sweet birthday party we found online." 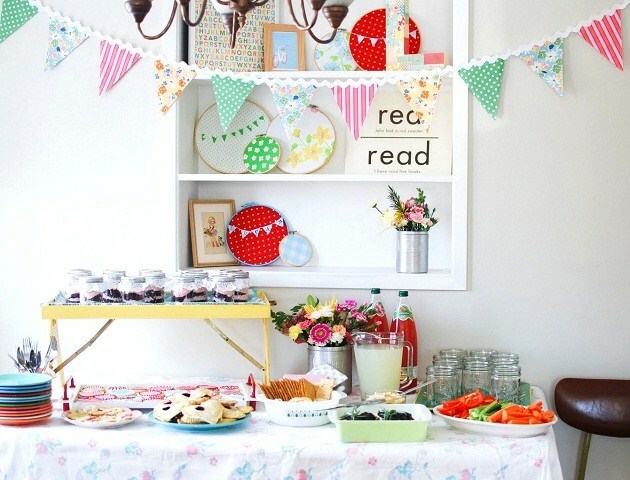 What do you think of this baby shower?